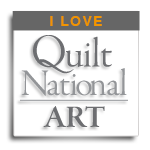 I’ve had four works in Quilt National and this article will show how they fit into my development as an artist as I gradually morphed from a young girl into ‘a senior’. 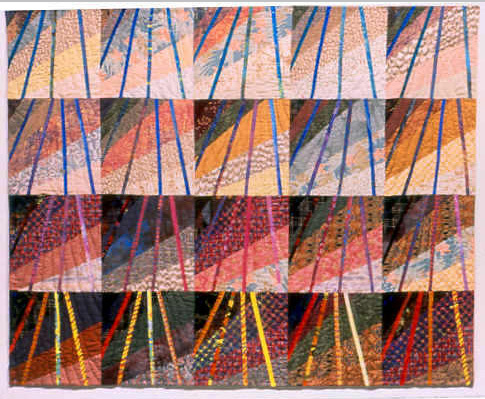 I am currently working on a slide lecture covering the development of my textile art from the late 70’s to the present, for presentation to a group of Western Australian art quilters and fibre artists. As I include images of finished works, samples and snippets from sketch books, I am able to look back on things that have provided the consistent themes appearing throughout my work. When young, in the ‘60’s, it never occurred to me that the practical, feminine, domestic arts of dressmaking, household sewing, embroidery, knitting and crochet and others, could be ‘art’. I am an early Baby Boomer, and we girls in those days learned those skills at school, from our mothers, aunts and grandmothers. Looking back, while acquiring many skills that have become second nature, some of the things I made showed early signs of creative flair even as I followed patterns. I have always loved putting fabrics and threads together in various ways to produce practical and creatively decorated things. My university degree included geography and a little geomorphology which I loved. Around age 30 found myself making both kids clothes and creative embroideries (mixed media) of paint plus stitch celebrating my fairly myopic view of small patterns, colours and textures of landscape. Leaving the leafy green environment in which I grew up, I moved about Australia’s Outback, mostly mining centres in harsh rugged landscape. The individual characteristics of the landscapes included highly evocative shapes and colours that stayed in my memory even without a photo. 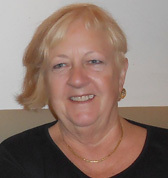 I have a keen sense of place in the modern world and at the same time feel very strong connections to people back in the mists of time. This sense of history only came to me through experiences in Australia’s ancient landscapes. Signs of how ancient people had interacted with their environment left some patterning or symbolic evidence of their time there. 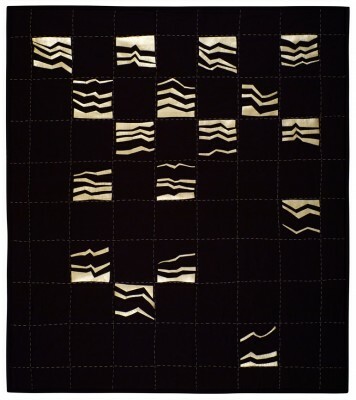 From 1988 I came under the influence of traditional quilt making in the USA, and after one flying geese quilt, produced a series of original quilts that combined landscape elements of line, shape and color, quilted with motifs based on markings of the ancients in pottery, carvings, cave walls and stones. I learned more about the early native American Indian people. As this Ancient Expressions series developed, fabric strips as lines became an important design element, influenced by cloisonné enamel work and native American inlaid turquoise jewelry, and the traditional quilting influences still in my work include repeat units arranged in grids. 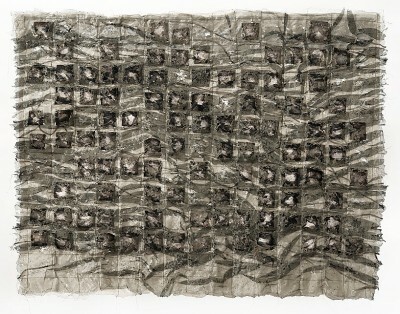 With many background influences, then, my first quilt in Quilt National 1993, was of a color memory of the faded Western Australian gold mining town, Ora Banda, which gave its romantic name to the work. Then came Obiri in Quilt National 1995, named for a sacred rock site we’d visited where Aboriginal people painted figures and patterns on the rock walls over the many centuries they have used the site. 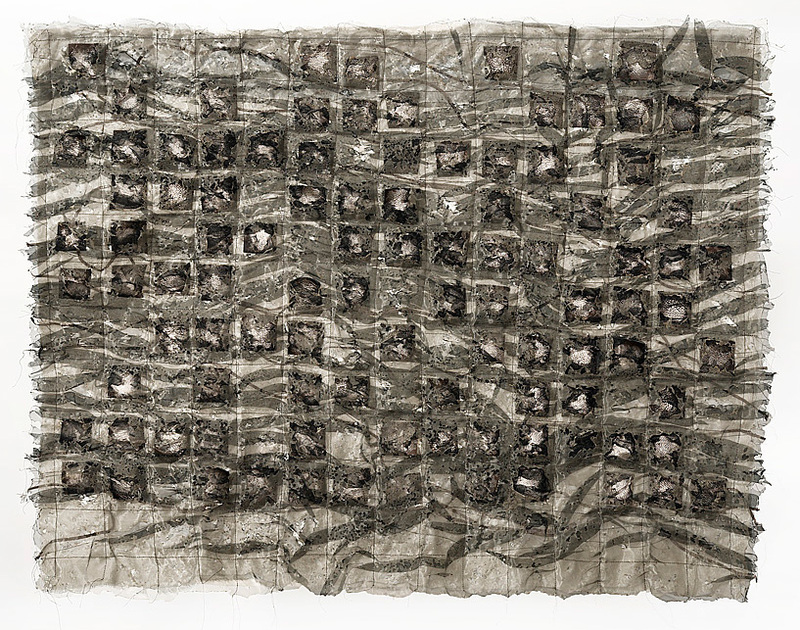 More than a decade passed before another work was accepted for Quilt National, by which time I was focusing on the marks left by eroding wind and water over time, and had begun to think of changed shapes and textures as ‘timetracks’. 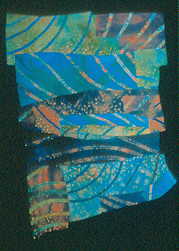 Timetracks 1 went to Quilt National 2007 featuring the larger view of landscape changing shape. By Quilt National 2009, Timetracks 7 was concerned with remnants of marks and abrasions on surface texture signifying decay. My journey through landscape has coincided with change in shape and texture of my own physical body. I am an age where I have perspectives that I could never have seen earlier in life, including that, so far my whole life has truly been a journey through landscape. Moving because of my husband’s profession I’ve met many textile artists, developed a passion for stitch, and eventually found quilt making. 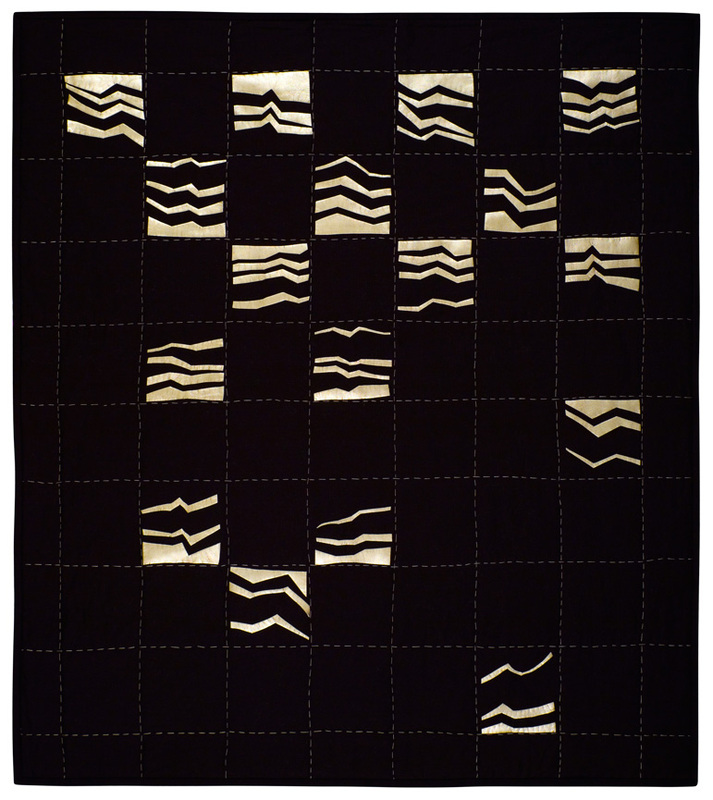 I have been exhibiting art quilts since 1989 and currently live in Montevideo, Uruguay.